The University of Lagos had her convocation week on the 9th to 11th of May, 2018. The convocation ceremonies which usually takes place in January or February every year was moved to May this year because of the nationwide strike by the non- academic staffs and senior staffs (NASU and SSANU) which occured during the early months of the year. 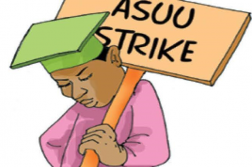 The University however had plans to continue the convocation regardless of the strike action but due to the unavailability of the striking workers to carry out their basic function and the atmosphere of the University environment, the ceremonies was postponed. As a result of the delay in the convocation ceremonies this year, most of the graduating students had been posted to their different places of Youth Corps service and they were just rounding up their three weeks compulsory camp the day the convocation ceremonies commenced. 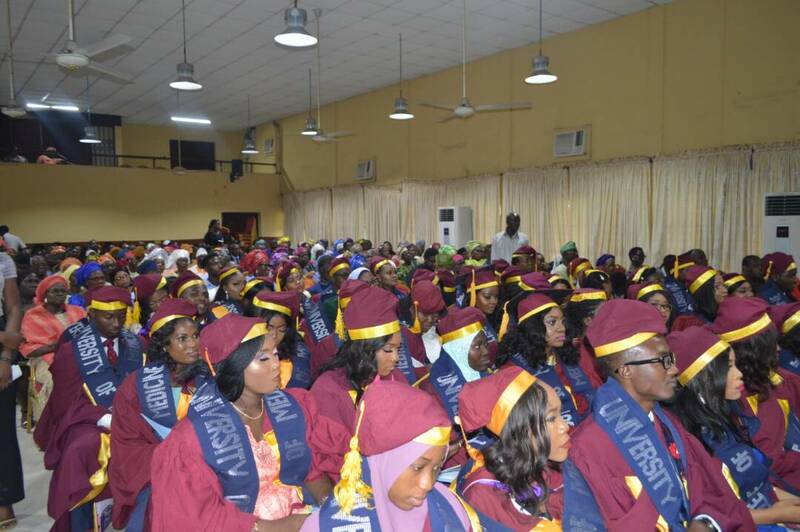 Also, for the first time in history, the convocation ceremonies took place during the first semester exams of the University and students had only the convocation days off while resuming their examination the day following the celebration. 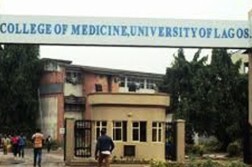 The convocation ceremonies kicked off with a lecture delivered by the Governor of Lagos state – His Excellency, Akinwunmi Ambode – and this year, the University produced a total of 12,638 graduates of which 6,816 received their first degrees or diplomas and 5,822 got their postgraduate degree, also producing four best graduating student with a C.G.P.A of 4.97. The best graduating students were Babawale Emmanuel from Chemistry department, Bosun Roy-Layinde from Chemical Engineering department, Okoroafor Ginika Joan from Early Childhood Education and Matthew Jeffrey from Biochemistry department. This is the first convocation under the leadership of the new vice chancellor, Professor Toyin Ogundipe and he made a few changes to the way the convocation ceremonies was carried out. First, the venue of the ceremonies which is usually at the Multipurpose Hall now Jelili Omotola Hall was moved to the Main Auditorium now J.F. Ade Ajayi Hall. Secondly, the ceremonies was conducted in batches – easing the crowd menace, promoting orderliness and good time management – with some students graduating in the morning and some in the afternoon. Also, a new and admirable development was the provision of buses by the University’s authority to convey students – mostly visitors – within the university community; from the school gate to the bus park, to ease the stress of walking during the ceremonies. As cabs were not allowed to operate during the ceremonies and visitors were not allowed to drive their cars beyond certain points. In all the ceremonies was a blissful one and it was evident in the faces of graduating students who were glowing in their apparels and beautiful smiles with their parents who could not contain their joy. 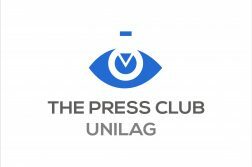 The Press Club, UNILAG wishes all the graduands success in their future endeavours.